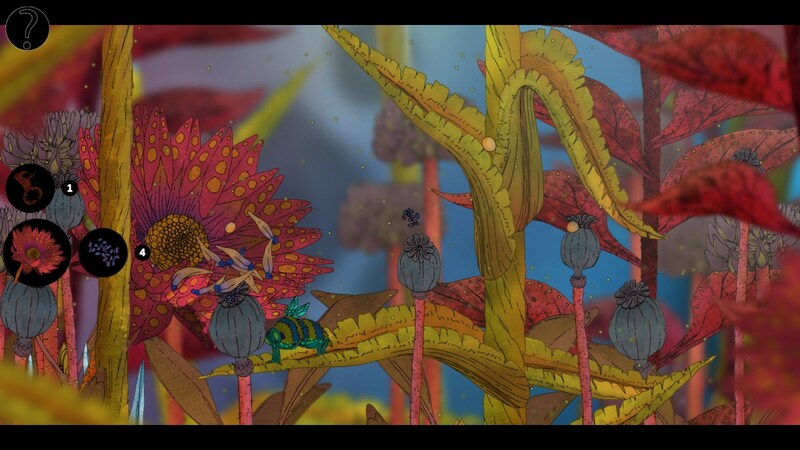 This time the spotlight will be shining on Morphopolis, a stylish and relaxing hidden object-ish adventure, set in an insect world. Yup. Let’s see if we can’t help it escape the cold emptiness of Greenlight limbo, eh? You will take the role of an aphid grub as you embark on a narrative driven adventure to rescue your companion. Undergoing metamorphosis and parasitically inhabiting ever larger insects your interaction with the scenery develops as each chapter progresses and the scale of the world increases. Just when I thought all was well among those darn insects. Who kidnapped him/her, and why? What dangers await you on this hazardous mission? Heck if I know! But after watching the trailer, I can’t wait to find out. It’s hardly the most action-packed game ever, save for some ‘parasitic inhabiting’, but that’s quite alright. We all need a change from blasting aliens (and bugs?) every once in a while, and according to Micro Macro Games, “Morphopolis is a game about transformation and discovery”, which does sound quite relaxing. Now, while I’m not really a fan of hidden object games, there’s something about this one, something… different. Maybe it’s the art style or the overall theme? Whatever the case, it definitely looks fun and different from the norm! So riddle me this, dear reader: why is Morphopolis still struggling to get through Greenlight? It’s been out for a while (since November, 2013), so availability certainly can’t be the reason. Might I recommend visiting its Greenlight page and handing over a ‘yes’, if you like what you see? Remember: your vote matters! Morphopolis is available for Windows and Mac from the official website (note: Paypal required), priced at $9.99 and without DRM.